This downloadable and printable daily schedule template was designed as an impressive visual for important meetings or schedules. It was created in PowerPoint so it can be easily printed in full color, shared in emails and documents or included in any presentation. 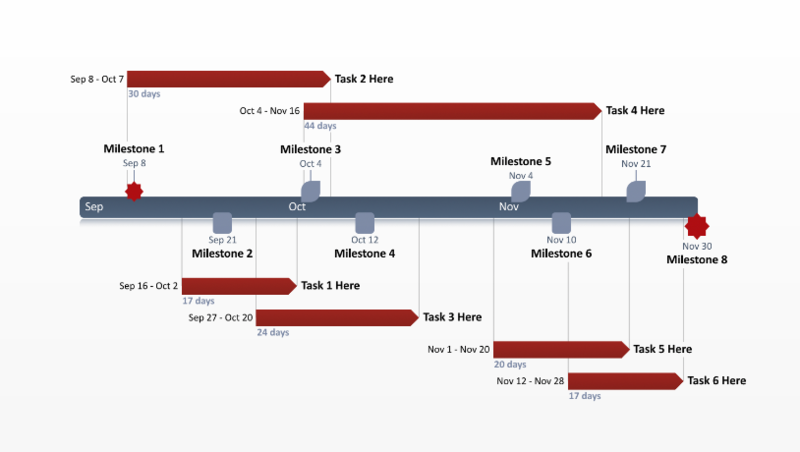 The daily schedule template is displayed graphically as an hourly Gantt chart, rather than as a list or a spreadsheet, so it is easier for readers to check the calendar at a glance. 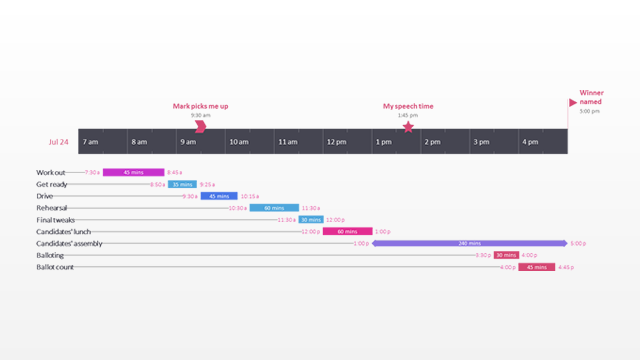 Most daily schedules provide a list-based layout on a vertical timescale, where appointments and events are booked according to their times. These are difficult to view and cannot manage any schedule overlapping. This free daily schedule template was created in a Gantt style so it can be easily read from left to right, providing a simpler way of seeing schedules. The template can be downloaded and edited in PowerPoint. Any object, color, shape or font style can be customized to suite your needs. 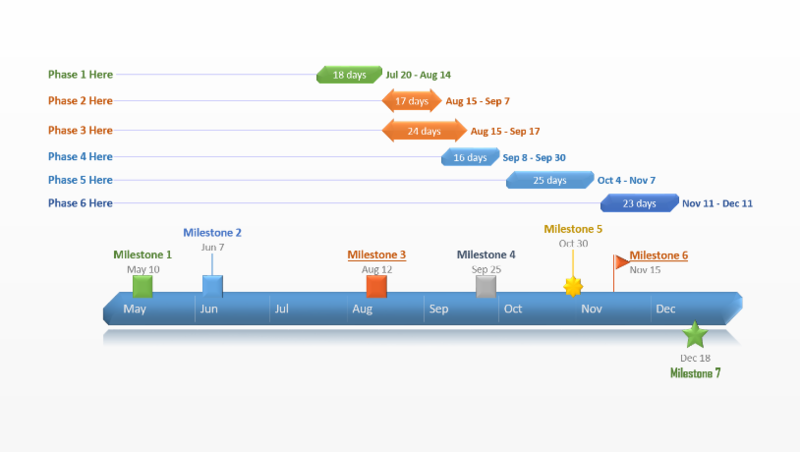 It was designed and created with the Office Timeline plug-in for PowerPoint. 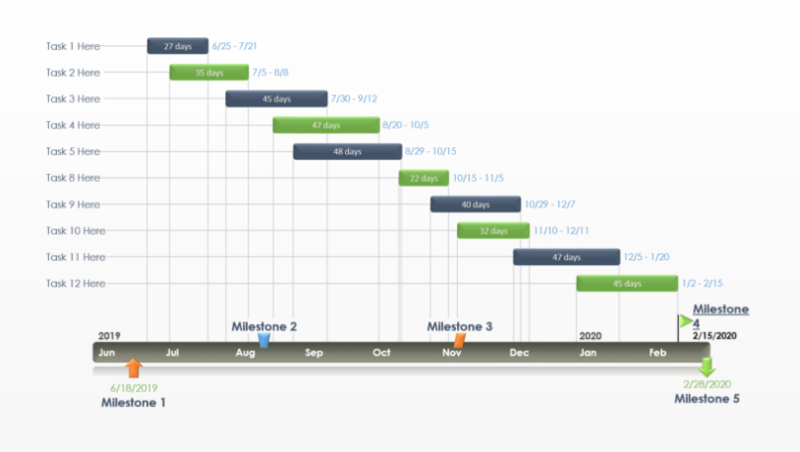 Office Timeline is a daily schedule maker that will automatically update this template with your calendar time and details, as well as provide a wide variety of styles and templates for quickly creating new calendars, or changing your exiting one on-the-fly. The template can be used for presenting or communicating the daily or weekly calendar at conferences, off-sites, team meetings and other business or community gatherings. It can also be used to map your daily or weekly calendar or to plan work shifts. 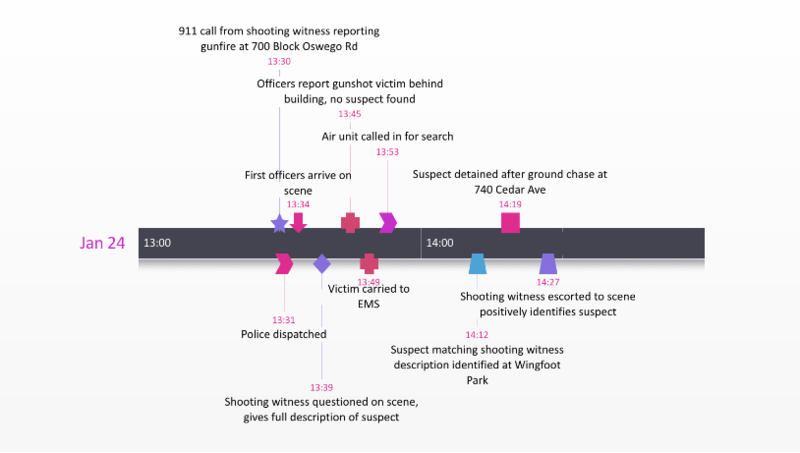 Office Timeline can edit this template with any day of any year. You can use it to show part or all of a daily agenda, and to create timeslots scaled down to minutes if you need calendars or schedules that have very specific times. The day schedule is a native PowerPoint slide and is easily shareable with team members, meeting participants and other audience members who have Microsoft Office or PowerPoint. Anyone with PowerPoint can open, edit, update and print the template or include it in their own communications and presentations. PowerPoint schedules and calendars can be created in any style and customized to perfectly match a company’s themes and colors.